Popcorn is often in the cupboard at my place. 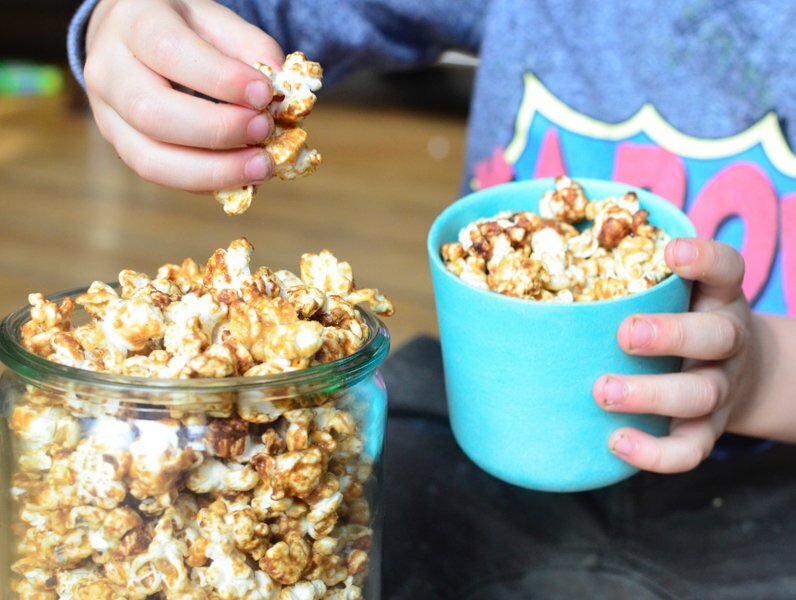 I use it to make this yummy chocolate slice, I pop it in the babes’ lunch boxes and whenever we’re having a movie night or friends coming over I make this salted caramel popcorn recipe. 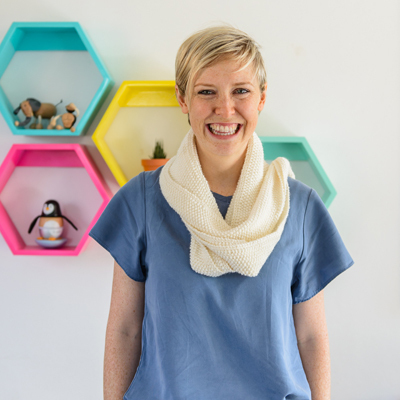 It’s so quick, stores a dream and really takes the easy store-bought stuff to a new level. 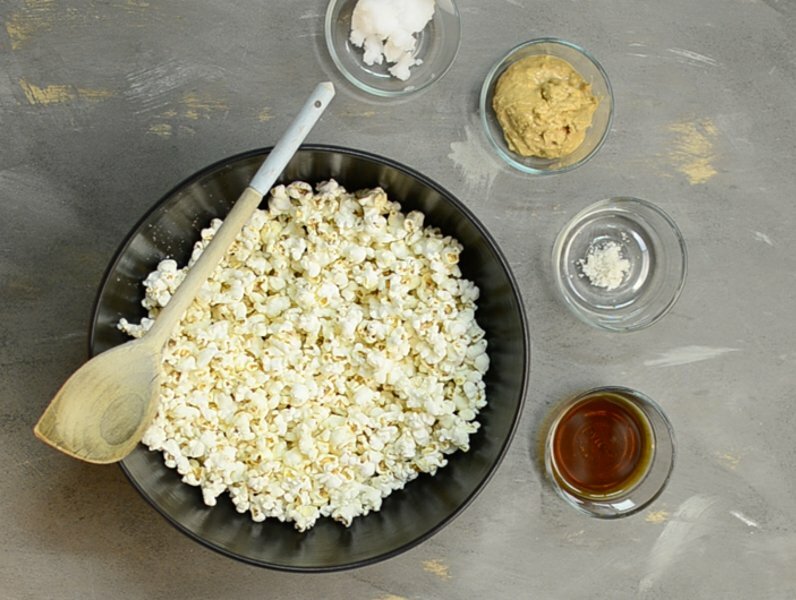 Caramel popcorn that is next-level for taste BUT surprisingly healthy and easy to make too. Step 1: Preheat the oven to 180°C and gather two baking trays. Meanwhile in a saucepan add all the wet ingredients, add the salt and stir until just melted. Step 2: Put the popcorn into a large bowl and pour the caramel mixture over the top. 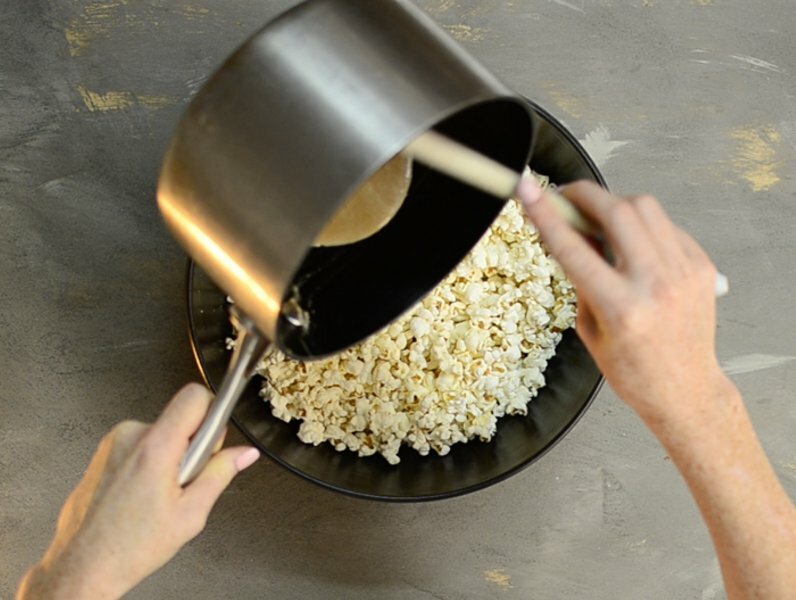 Then, using a wooden spoon stir the popcorn until it's well coated. You're aiming for no big chunks of the caramel; just a nice even coating over all the popcorn pieces instead. 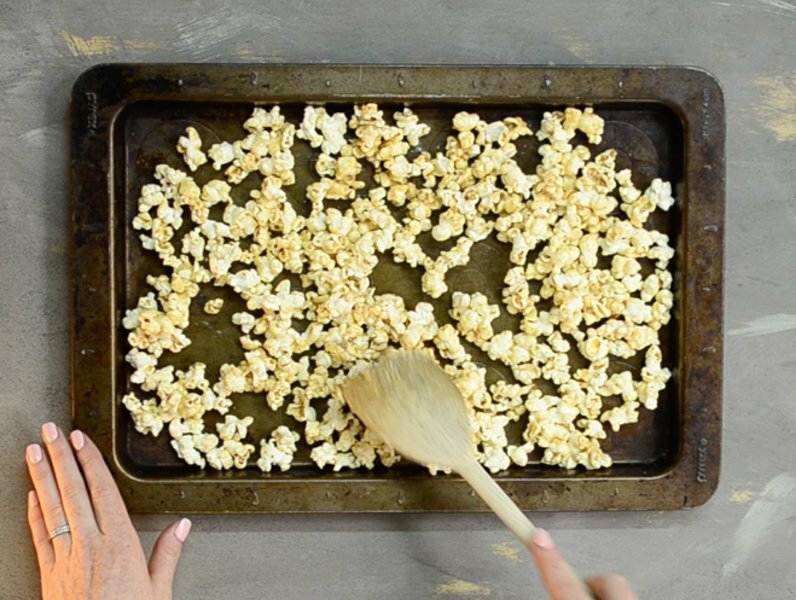 Step 3: Divide the popcorn over both trays and pop into the oven for 10 minutes, stirring halfway, so it doesn't burn. The popcorn is done when it's lovely and brown and smells amazing. Set aside to cool for a few minutes before diving in, by the handful. Store in an airtight container for up to a month. Sure there is some sweetener in this one, but the protein in the peanut butter and the good fats in the coconut oil will help stabilise blood sugar levels.